The Talking Mats digital app is available for organisations to purchase. 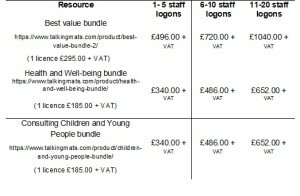 This is an efficient way to support staff to evidence person centred planning. The digital app typically operates via individual logons which means personal data is kept securely and it complies with data protection and client confidentiality. The individual with the logon can use their Digital Talking Mat with as many client/patients as they want. 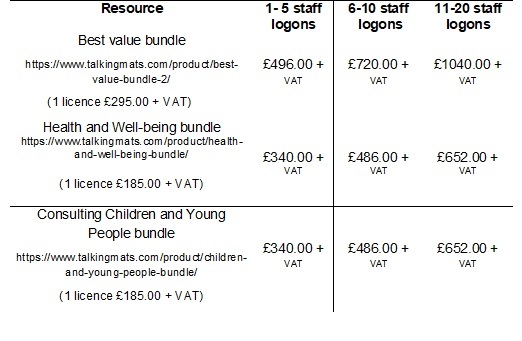 We recognise that organisations may want to purchase several logons for staff to access digital Talking Mats and for that reason have created an Organisational Talking Mats digital licence. The savings are significant. This entry was posted in Blog, Digital Talking Mats, person centred approach and tagged digital, Participation, Talking Mats on August 17, 2018 by Rhona Matthews.